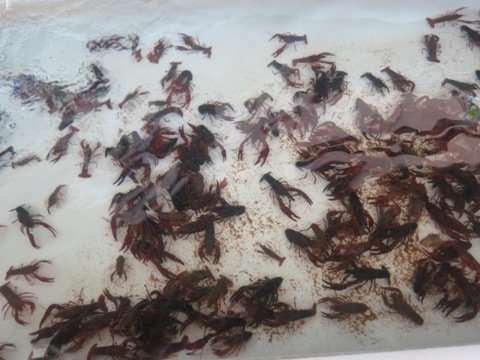 Looking to buy some Live Red Swamp Crayfish? It’s native to the Southeastern United States, but California introduced it in the early 1900’s from some stock from Louisiana. It’s now found throughout southern California and the Central Valley in creeks, ponds and irrigation canals in both freshwater and brackish environments. Usually bright red when adults and grow to around 5 inches. 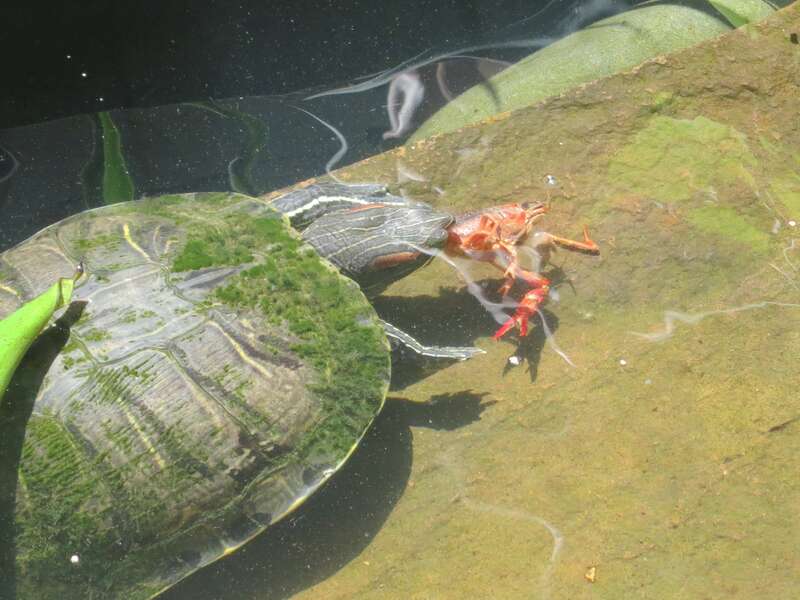 The average lifetime of Procambarus clarkii is five years. 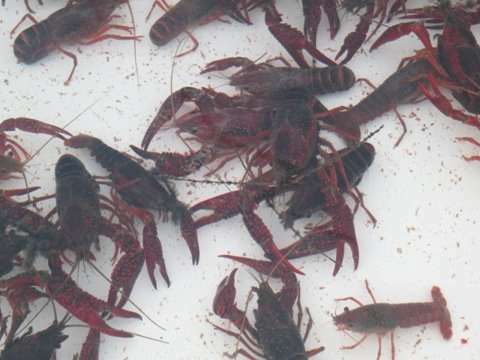 It takes less than one year for a crayfish to reach full reproductive maturity. It’s also is a vector for the crayfish plague fungus Aphanomyces Astaci. 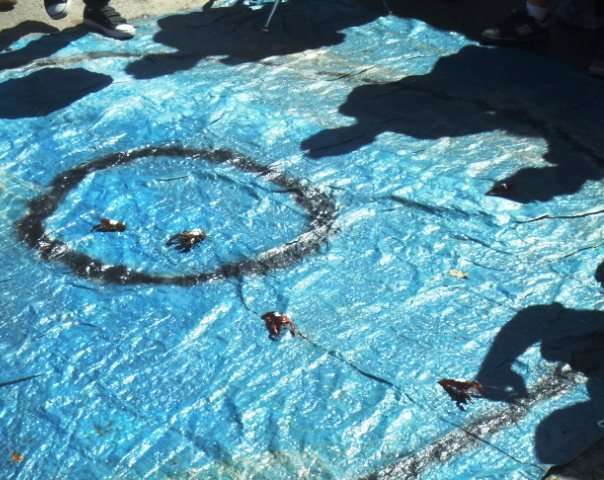 It’s considered a pest in California, but they do allow aquaculture producers to cultivate it. It thrives in the rice fields of the Central Valley burrowing 24 to 40 inches in the mud banks which can seriously weaken them. The Red Swamp Crayfish feeds on the young rice shoots and other plants, insect larvae, tadpoles, snails, and newt larvae. It is known variously as the red swamp crawfish, red swamp crayfish, Louisiana crawfish, Louisiana crayfish, crawdad or mudbug. About 98% of the crayfish harvested in the United States come from Louisiana, where the standard culinary terms are crawfish or écrevisses. 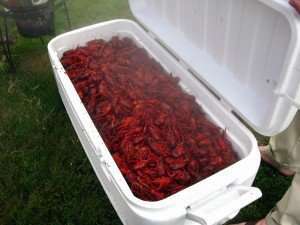 Louisiana in 1990 produced 90% of the crawfish in the world and consumed 70% locally. This entry was posted on Tuesday, January 8th, 2013 at 12:39 PM	and is filed under Hydroponics / Aquaponics. Both comments and pings are currently closed.